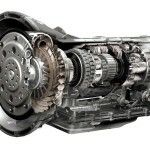 A car transmission is one of the most important parts of a vehicle. A transmission is a gearbox that transmits the energy produce by the engine to the axle that turn the wheels forwards or backwards. It uses a series of gears that converts torque from a rotating power source to speed another device. Advanced Auto Repair is one of the best transmission repair shops in North Attleboro MA. Our master mechanics have a great deal of experience in diagnosing and fixing transmission problems. There are many problems that can be resolved with sensors, cooling or wiring problems while others may require a transmission overhaul. Whether its transmission maintenance, transmission repair, or a complete transmission replacement or rebuild, you can leave our North Attleborough repair shop with peace of mind knowing that your car received the best care.